“Now more than ever we need to revisit the significant events and connect the dots between our principles informing our decisions and show how those decisions have shaped who we are—to determine how we are viewed—and why we must do what we do now. 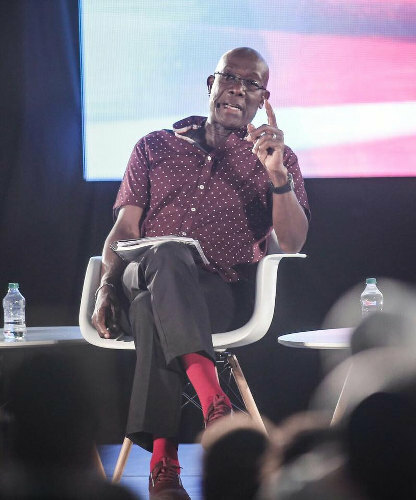 Photo: Prime Minister Dr Keith Rowley addresses the audience in his “Conversations with the Prime Minister” series in 2017. There is a deep and genuine lack of pertinent information mainly in the age group 45 and below as to ‘who is Trinidad and Tobago to the rest of the world’. What has been our foreign policy moorings, over the years, on significant foreign affairs matters—for example, the US invasion of Grenada, Venezuela, Nicaragua, apartheid etc? What have been our principles and ideologies? Where did were get those principles and ideologies from? Why were they important then and why are they still important now? Now more than ever we need to revisit the significant events and connect the dots between our principles informing our decisions and show how those decisions have shaped who we are—to determine how we are viewed—and why we must do what we do now. That gap or genuine ignorance in the younger demographic presents a real opportunity to re-attach to our principles and ideologies that craft the ‘personality of state’ and make us who we are. Very recently we have seen our closest neighbour get shot into the centre of a growing, smouldering, global standoff. 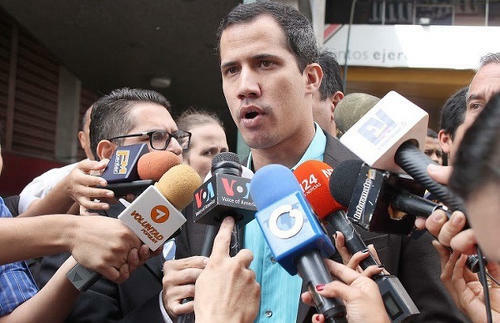 One so serious that we must be very concerned as Venezuela is only 7 miles off our coast. It is closer to us here in Port of Spain than Scarborough! We are seeing superpowers squaring off and threatening the use of force in a country of 33 million people that is 7 miles away from a tiny country of 1.3 million people. From the onset of this very worrisome development, you have seen your government taking a position of ‘non-intervention and non-interference’. 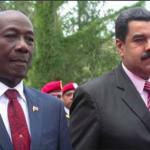 You have seen your government join with CARICOM to push for an urgent de-escalation of tensions and work on a forum of dialogue and negotiations towards a peaceful resolution to the situation. You have heard us say we are guided by the UN Charter and subscribe to the fundamental principles that they contain; not because they are convenient or embody commitments that every self-respecting nation in the world holds to be universally true or right. We hold to those principles because we as a people in 1962—when we joined the world as an independent nation—we believed those principles to be aligned with our own aspirations for all the people of the world including our people. These principles are the only guarantee that small independent nations can look to for preservation of their dignity and in even their very existence. 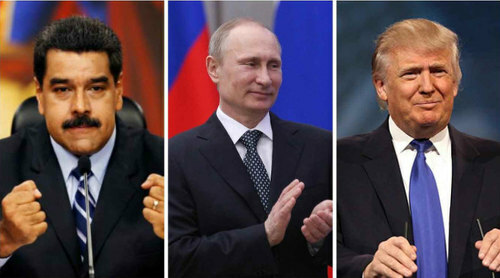 We said that we believe in non-intervention and non-interference and within minutes the Opposition and elements in the media shot off into spinning the term into a cop-out of some sort, or worse that we have abandoned the people of Venezuela—people that we have had a relationship with for hundreds of years—because we are holding fast to the UN Charter to which we subscribe but to which we believe in. While others were trying to say that we were copping out it was, in fact, the complete opposite. We were standing up for principles we believed and signed on to at our birth in 1962! To employ international machinery for the promotion of the economic and social advancement of all peoples (did we not do that?). 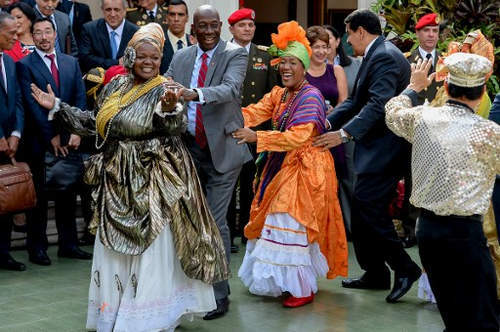 Photo: Prime Minister Dr Keith Rowley (second from left) and Venezuela President Nicolás Maduro (right) dance to calypso after a meeting at Miraflores presidential palace in Caracas on 5 December 2016. All Members shall give the United Nations every assistance in any action it takes in accordance with the present Charter and shall refrain from giving assistance to any state against which the United Nations is taking preventive or enforcement action. To the principles of being on good terms with all our neighbours, even when we disagree. We are standing up for these principles—never mind while we are doing our best our detractors are doing their worst to misinform and undermine. 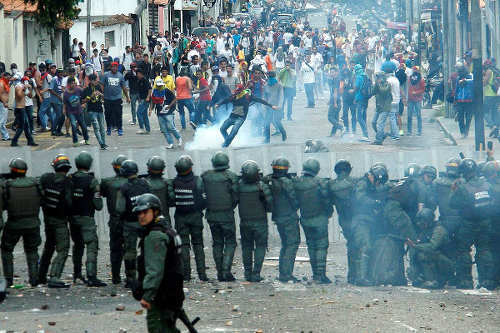 When you stand back from the abyss, it’s amazing how far they would go to sink the conversation into an emotional one about how we are abandoning the Venezuelan people, and Rowley protecting a dictator; that all we care about is the ‘Dragon deal’ and money more than we care about the people of Venezuela. Think about those people. Think about the hours of TV and print time that was dictated to pushing those Opposition narratives. To reduce the people of Trinidad and Tobago’s position from the ones contained in the UN charter to talking about selling out 33 million people for the naked economic interest of a gas deal; as if we, proud Caribbean people are to be so insulted. 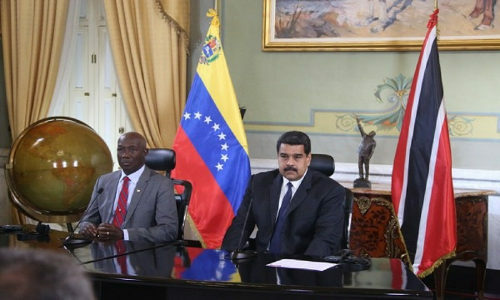 Photo: Prime minister Dr Keith Rowley and Venezuela president Nicolás Maduro. 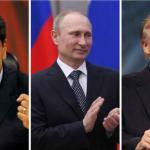 Let me put on record that our only wish for Venezuela is peace, stability and prosperity for its people. 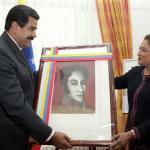 I wish for them to find that within the construct of sovereignty, internal peace and the protection of the UN Charter. We wish for the people and children of Venezuela what we wish for ourselves: a life with dignity, fulfilment and self-determination. We claim for the Caribbean that our corner of God’s earth, remain our designated zone of peace. Next Dear Editor: Is Children’s Authority advocating child beating and encouraging victim blaming? Lasana Liburd The carrot is dangling. Will it rot before any meaningful meetings take place. I suggest that the ‘Five’ review the outcomes of meetings that have taken place at Mar a Largo. 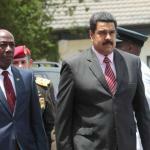 First I want to say, There is a need for the curbing of the large amount of Venezuelans in Trinidad and Tobago. The Minister of National Security, Department of Immigration & Customs, and the Census, is it board or bureau have that on their clock twenty-four seven till all things controlled. 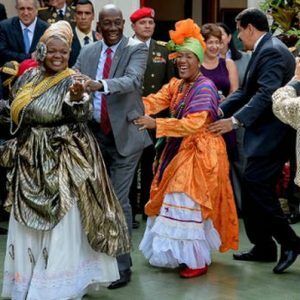 Secondly, Trinidadians have to really really really stop partying and take this neighboring Venezuela issue very seriously. This is more of an urgent and I say again urgent matter that can’t be taken lightly. Trinidadian cultural approach to issues of this grave matter is not the same approach as America. That’s why we have to back our Prime Minister Keith Rowley working within the United Nation Charter to protect and come to a peaceful dialogue. I do agree there is a large gap more so ignorance amongst the ages of forty-five and below. And, the need to educate and informed them of History, principles, ideologies, and why they were important then and still important now, need to be reinforce. As irrelevant filling that gap might be and loosing sight of the real issue might take a toll on the nation. 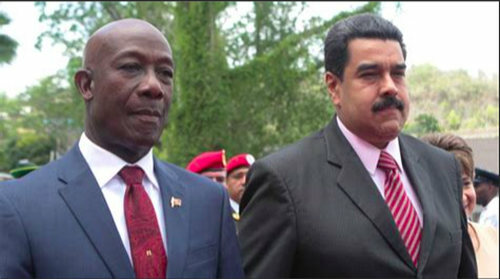 If the Americas should take control of our neighboring 33 million Venezuelans just a boat ride away, Trinidad will soon be next because that’s how the Americas operates. So, we are saying not to take what happening in our neighboring Venezuela for granted Trinidadian support the Prime Minister and the and what’s in the UN Charter.